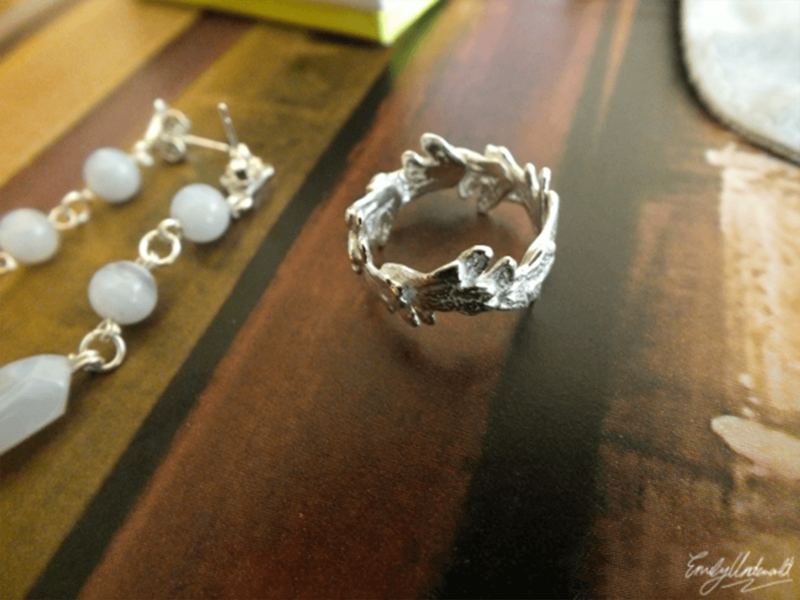 Jewellery Box is one of those companies that I’ve been meaning to order from for a while, I’ve seen them featured on so many blogs, and they have so many cute pieces. I was having a browse last week, and was lusting over their nose studs in particular, as I haven’t changed mine since I got my nose pierced over a year ago! Jewellery Box tweeted me saying they’d send me over a few things to review, and I literally squealed with excitement and picked out my favourite necklace, earrings and nose stud eagerly. Isn’t this the cutest package ever?! 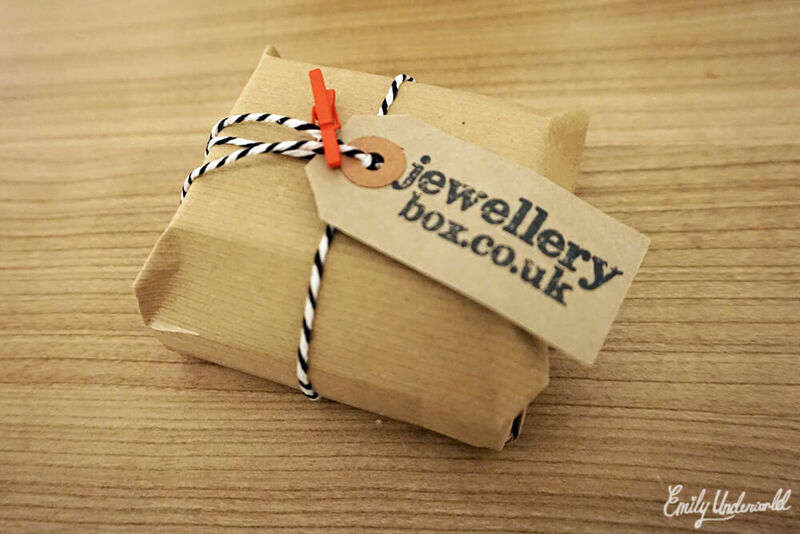 I’m totally going to order things from Jewellery Box for my friends when they have birthdays! This necklace really stood out to me on the website, because I’ve never seen anything like it. 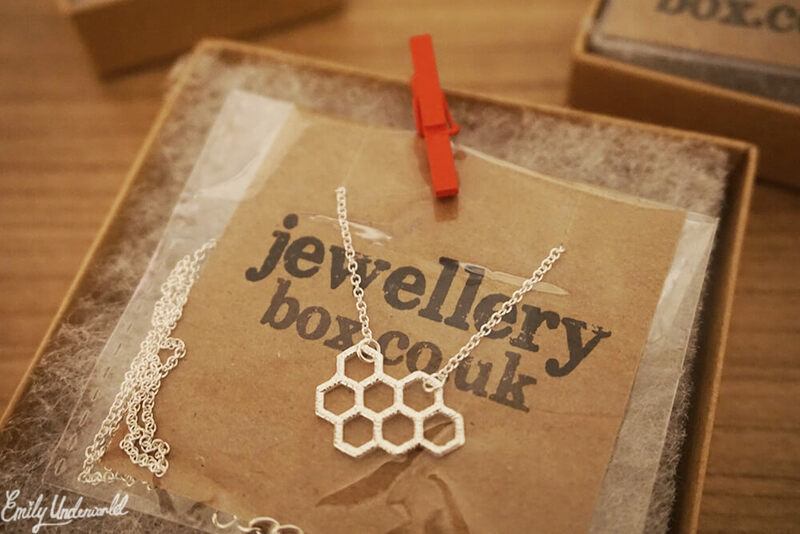 I love the dainty yet edgy honeycomb design, it’s one of those necklaces you can wear with anything. A few girls on my course have already complimented me on it! 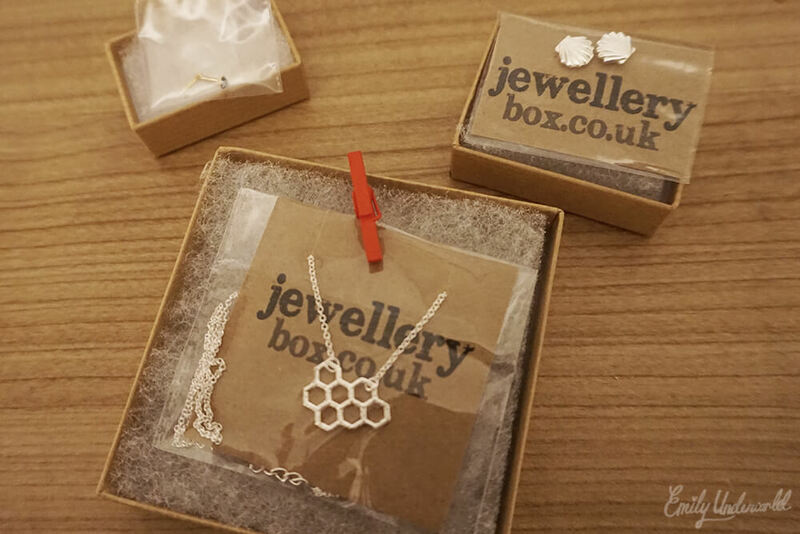 The sterling silver Honeycomb 18″ necklace is £8.45. 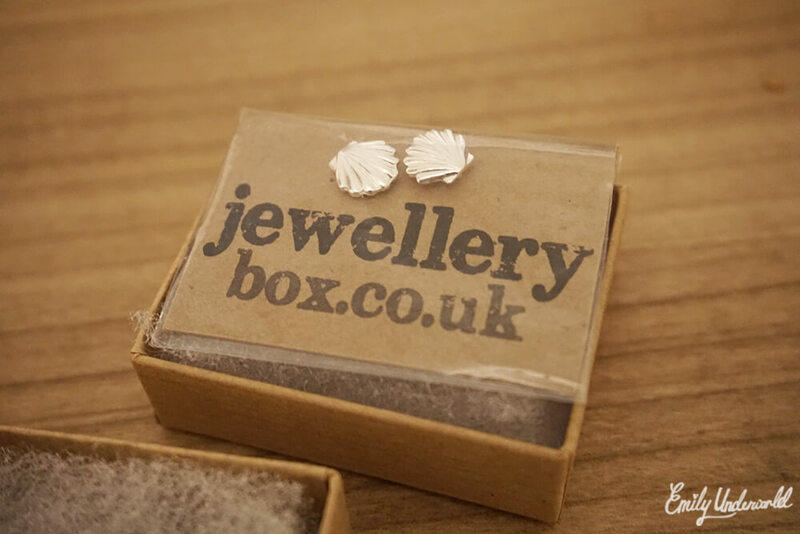 I couldn’t resist these adorable sterling silver seashell earrings, which are perfect for any mermaid… I don’t wear earrings very often, but I’ve been wearing these constantly since I got them. Jewellery Box also have a seashell pendant, if you like to match your jewellery. The earrings are only £5.05, which is pretty damn amazing. Lastly, as I already mentioned, I was desperate for a new nose stud. 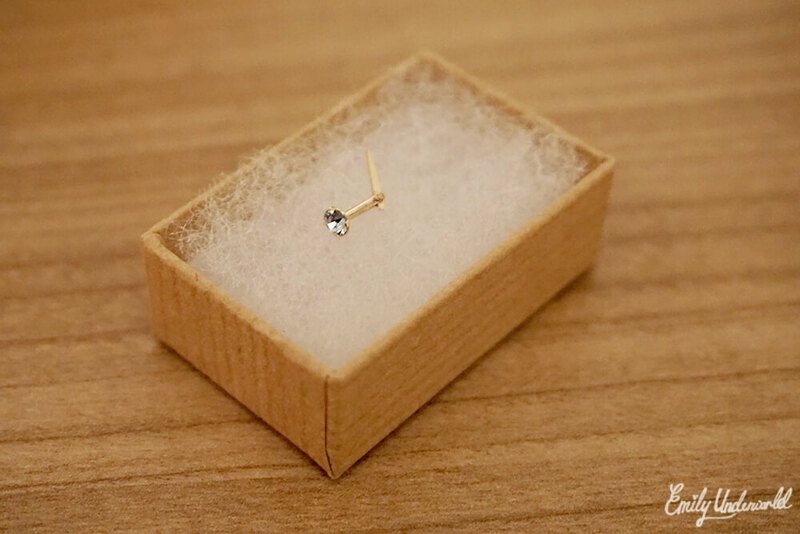 They were all so cute, but I decided on this Andralok 9ct yellow gold sapphire CZ 3mm one, which is a lovely sparkly light blue one. I’ll definitely pick up more nose studs from Jewellery Box, this one was £7, and they even have cute little heart-shaped ones! I made a rose-gold charm bracelet!